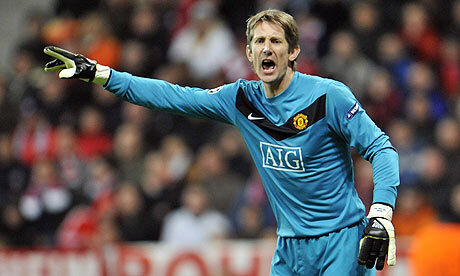 Former Manchester United goalkeeper Edwin van der Sar has been appointed as the new Chief Executive Officer. The former Red Devils player takes over from Dolf Collee who is set to exit in a year. The appointment confirmation came during the Annual General Meeting of shareholders. Van der Sar would relinquish his former commercial director role to Menno van Geelen as he prepares to assume his new office whilst he remains the technical chair of the club. The player also recently joined the board of Ajax Cape Town. He was announced a member as the club wanted to tap into his wealth of experience as a top football brand. Van der Sar was with Ajax Amsterdam before his move to Old Trafford. He has featured for Juventus and Fulham as well and is expected to help the Urban Warriors improve. “I think this is a great step by the club and directors. We are delighted to have him on board as we all know him as one of the most celebrated football legends of the game. “He joins the Cape Town-based directors bringing with him lots of experience and a wealth of knowledge. We are pleased and we hope to take the brand to the world as we used to. We are confident that he will add to the strong board we currently have,” the club’s commercial director Alexi Efstathiou said. Efstathiou added that they expected the visit of Van der Sar next year when they discuss and collaborate with Ajax Amsterdam. Throughout the entire playing career of Edwin van der Sar, he has performed in Ajax, Juventus, Fulham, Manchester United and VV Noordwijk. Despite having played with some of the biggest European clubs such as Manchester United and Juventus, it’s with Ajax where he feels most at home and where his fan-base can truly be felt. It was with Ajax where Edwin van der Sar initially developed as a youth before he went off to join some of the bigger and more recognized European clubs. Edwin van der Sar officially retired from playing at a competitive level on May of 2011 but the retiree still remains up to date with the world of football as he returned to his roots with Ajax as he later went on to become the marketing director of the Dutch club and it has recently been confirmed by the club itself that Edwin van der Sar is going to become the chief executive officer as he is expected to replace DolfCollee. On November 11 of the ongoing year, DolfCollee is predicted to step down from his CEO position in Ajax and Edwin van der Sar has already been confirmed as the person selected to replace him and become the new CEO of the Dutch club. After having spent around 9 years with Ajax and helped the club to win a number of trophies including: UEFA Champions League, UEFA Super Cup, Eredivisie and a few others along the way as a player, Edwin van der Sar is hoping that he can continue helping out Ajax in adding more pieces of silverware and accomplishing more milestones but this time around not as a player but as an executive staff member. Former Manchester United goalkeeper Edwin Van Der Sar has urged fans to be patient with their manager. The Portuguese manager has come under pressure in recent games after the club was beaten three times in a row. Edwin Van Der Sar believes that Jose Mourinho is currently a victim of his own success and that people expect a lot from him. The Dutch goalkeeper believes that the manager should be given time to work with the players and to inculcate his own philosophy in the team. He said that it is not a good idea to change manager every year and that Mourinho should be given time. He said that the club had started well their campaign and it is only in the last few games that there have been problems. He believes that Jose Mourinho is the right person for the team and that the club should give him some time. He has urged fans to stay behind the team and not to put unnecessary pressure on the team by booing players on the pitch. He said that a new manager needs time and that he expects the board to give Jose Mourinho enough time to change the team. For Van der Sar, Manchester United currently has a good team, and it is up to the players to deliver the goods. He believes that Mourinho has made some impressive signings during the transfer window and that it will take time before the team gel. Edwin Van der Sar believes that the current Manchester United team will be part of the Premier League race and that they will need to be consistent if they want to win the title. He said that Mourinho is a highly experienced manager and he is the appropriate man to change Manchester United fortunes around. Former Manchester United goalkeeper Edwin van der Sar is of the opinion that Everton could be making the wrong move in going for former Ajax manager Frank de Boer. After having been in charge of Ajax for six seasons, the Dutchman recently left the job in the hope of getting an even bigger appointment. The prospect of managing in the Premier League, which is regarded as one of the best in the world, will be enticing for any manager and the same seems to hold for Frank de Boer. He has been rumoured as the frontrunner for the Everton managerial role. After recently parting company with Roberto Martinez, Everton are on the lookout for a new manager. Even though they have the option of going for the former manager David Moyes who is now available, the club are thought to be keen on retaining the attractive style of football built by Martinez. The Spaniard, though, was not at his consistent best and the club were not able to achieve their objectives as a result. Any foreign manager will immediately struggle to adapt at Goodison Park and Everton should be focusing on getting a manager experienced with the league, according to van der Sar. The Dutchman also reckons thatde Boer may struggle with the intense level of competition expected in the league next year.“The Premier League is a very tough competition.When you look at the names like (Jurgen) Klopp, (Pep) Guardiola, (Jose) Mourinho, (Arsene) Wenger then it will be a very tough season for him to do well at Everton.I would like to see him go in there because it would be very interesting.He does have a way of playing that is very interesting for England. He would be a very good manager, but the question is how (would he do) with the competition from the other teams,” said the former goalkeeper. Ronald Koeman replaced Roberto Martinez as the head coach of Everton a few days ago and now the Dutch coach has the task of pushing the Premier League club into the European spots of the top tier English League which the former coach Roberto Martinez failed to do. In terms of high-profile players, the Spanish League is the one that receives most attention as the likes of: Messi, Neymar, Suarez, C.Ronaldo, Bale and Benzema are all competing in La Liga. Just by having all of these well-known performers is a reason of why Spain is considered to be as a competitive and attractive football destination. However, when it comes to managers there is a league that is quickly becoming the spotlight and it’s the Premier League. Jose Mourinho was recently announced as the new coach of Manchester United and he will be contending against the likes of: Pep Guardiola, Arsene Wenger, Jurgen Klopp and many other highly rated managers and teams in the English League. Edwin van der sar has experience performing in the Premier League after making a combined total of appearances of over 300 through his time spent wearing the Manchester United and Fulham jersey. The retired Dutch player is certain that because of all the top managers that have been arriving in recent times will make it difficult for Ronald Koeman to have a successful spell with Everton. For the past few transfer windows, Real Madrid has been attempting to sign Manchester United’s David de Gea but have fallen short and never truly managed to secure the services of the Spanish shot-stopper. However, according to Edwin van der Sar there is no need for Real Madrid to sign another goal-keeper as they already have a top class player with KeylorNavas. There were rumors going on claiming that Real Madrid was going to re-attempt and sign David de Gea during the approaching summer transfer window but considering how impressively the Costa Rican player has been doing, it might not be necessary. KeylorNavas has been doing so impressively that he recently broke the Champions League record of having gone for the longest period of time without conceding a single goal. “He overtook me; I think I’m third now. It’s an incredible achievement. Teams need good keepers, but also good defenders and midfielder, so it’s good for him that Madrid have those players.” Former Manchester United star Edwin van der Sar added on. Edwin van der Sar retired from playing competitive football back on May of 2011 but he recently came out of retirement to play a single match with the Dutch football team VV Noordwijk and he managed to save a penalty kick. Former Ajax, Juventus and Manchester United goal keeper, Edwin Van Der Sar, who is the marketing director of his first major club says Ajax will head to China after the 2015/2016 season. Ajax have announced plans to tour China with a full strength squad. They will stay in Beijing and Shenyang from May 13th to the 19th where they will play a friendly against Chinese Super League club Liaoning Whowin FC in Shenyang on the 18th. The first team squad is also scheduled to have a clinic for a local youth team then a public training session and other various activities in both cities. “It is a long-cherished wish to go to China with Ajax. “After our Asian trip to Indonesia in 2014, we now visit China. It’s good for Ajax to be internationally visible with this tour. Ajax are the all-time leading Dutch champions with 33 league titles and are poised to win another as the club leads the current table with four matches left. The club has also won four European Champions Cup/Champions League (1971, 1972, 1973 and 1995) and two Intercontinental Cups (1972, 1995). 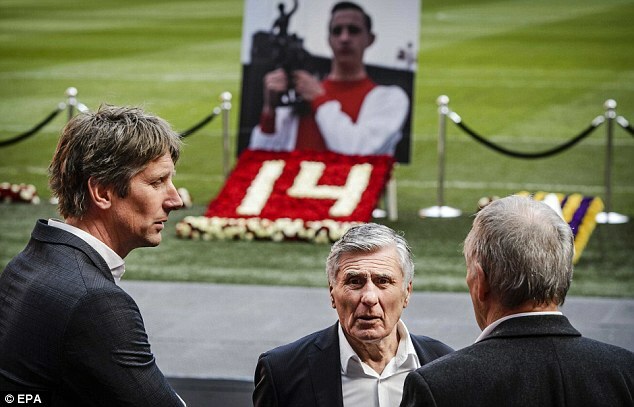 Edwin Van Der Sar has been to China before as Ajax director and he also accompanied Dutch King Willem-Alexander during a state visit to China. The goal keeper recently visited Amsterdam to pay his respects to Johan Cruyff following his death. While there, he heaped praises on the legend calling him the “greatest player” Ajax has ever produced. Van Gaal had come into the manager’s job at AFC Ajax ahead of the 1991-92 Season when their condition was not too different from what it is of United today. It was an unsettled team and most of the players were not too sure of their roles, but, he was given time there in that job, was Van Gaal and within three years, he had pulled off the miracle of making that team the Champions of Europe. Though, Edwin remained short of saying that Van Gaal could make the Red Devils a title contender in Europe too in any time in future, but, he clearly suggested that those who are in charge of decision making at Old Trafford should put their faith in his compatriot as he has got the sense of team-building and he is good enough to take United back to the place where they were at some time back. According to Edwin, he never had the services of a better coach than Van Gaal in his career. He is someone who is particularly beneficial to the emerging youngsters because he teaches them the right way to train for their maximum development. Edwin also reckons that United can make this season count by winning silverware as they might not be anywhere close to topping the Premiership standings right now, but, they are nicely placed in other competitions. 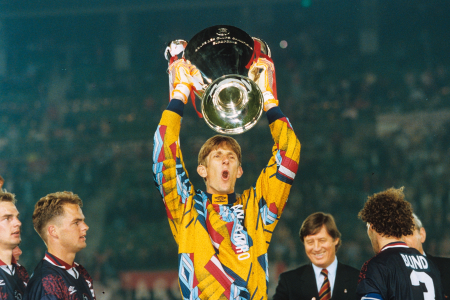 Edwin van der Sar trusts Louis Van Gaal to lift United from their current condition just like he did with Ajax in the early nineties. Alan Pardew has confirmed that he is looking to give striker Emmanuel Adebayor his debut for Crystal Palace when the team takes on Bournemouth in the next league outing. The London club recently signed the player, who has been available on a bosman for quite a while. Teams have not been showing interest in signing the player due to concerns about his attitude on the pitch. However, the former Togo international remains as one of the finest goalscorers in the Premier League. It remains to be seen if the gamble taken by Pardew will pay off. Adebayor will have to build up his match fitness quickly in order to become a regular starter for Crystal Palace. After a great first half to the season, the club has found it difficult to score goals on a regular basis and win matches. Dwight Gayle was a major factor in the club getting some brilliant results last season, but he has been injured more often than not. He has featured in only seven matches so far and his importance has been demonstrated by scoring four goals in just these matches. Adebayor is unlikely to be a short-term solution for Crystal Palace and Pardew is very keen on stressing this fact. “Dwight got four goals in our pre-game [training match] we have on a Friday, but was injured [on Saturday]. We’ve kind of pencilled [Adebayor] in to be involved on Tuesday, so we’ll have to wait and see. I think there’s a good chance.We had a few players missing [against Stoke], lost a couple at half-time, but everybody really put in a performance at their level or above their level, and you can’t ask for more than that,” said Pardew, who has rejected suggestions that he was not considering the FA cup seriously.